TOGETHER WE DID MAKE CHANGE! 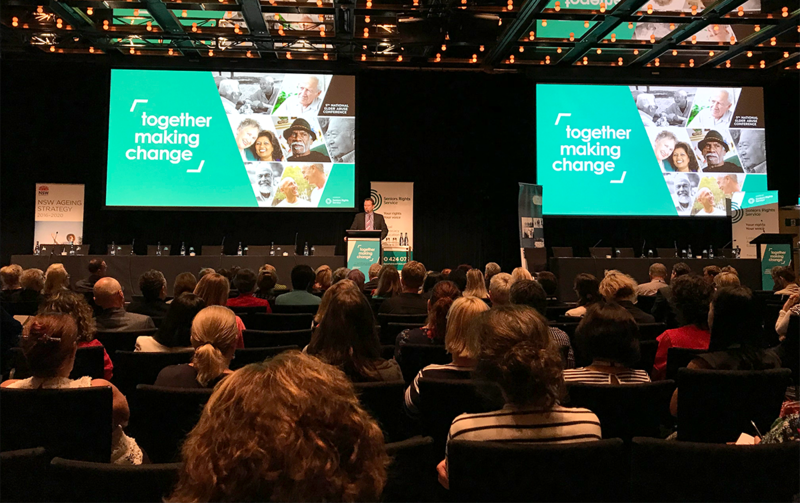 On 19-20 February, Seniors Rights Service was thrilled to host the 5th National Elder Abuse Conference (NEAC), ‘Together Making Change,’ at Sofitel Sydney Wentworth… and what a fantastic event it proved to be! To the 560 people who attended, the many speakers and facilitators, our conference partners, and all those who participated in this major event, we offer our sincere thanks. It simply wouldn’t have been the outstanding success it was without your contribution. Hundreds of delegates from all sectors packed the venue’s normally spacious ballroom to listen to an impressive line-up of keynote and plenary speakers, whose talks proved both insightful and inspiring. This high level of engagement continued in the concurrent sessions, where delegates had the opportunity to interact with expert panels and participate in very topical and sometimes confronting discussion forums. It was extremely pleasing to see such a diverse group of people attend the conference, representing all sectors and bringing a valuable range of perspectives and input to this most important of conversations about elder abuse in Australia. The learnings, sharing and many connections formed over the course of the two-day event offer significant rewards in their own right. In addition, though, it was particularly gratifying to see the development of an end-of-conference statement, which was based on the input of over 300 stakeholders and endorsed by all those present at the conclusion of the event. This is a tangible outcome that we can use as a ‘call to action’ to all governments in Australia – a powerful message that there is no excuse not to act on the issue of elder abuse …NOW. 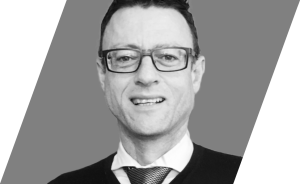 It’s an exciting time to be working in this space and I hope, like me, you feel unmistakable momentum building, and a keen sense of anticipation and optimism as we move forwards from this most positive of positions. The Conference got off to a fantastic start with hundreds of delegates attending the plenary session, a wonderful line-up of keynote speakers, and a real buzz of anticipation in the room. MC Virginia Trioli got proceedings underway, speaking of her own mother who she said had been a real force in her life and who she now saw becoming frail, fearful and vulnerable. 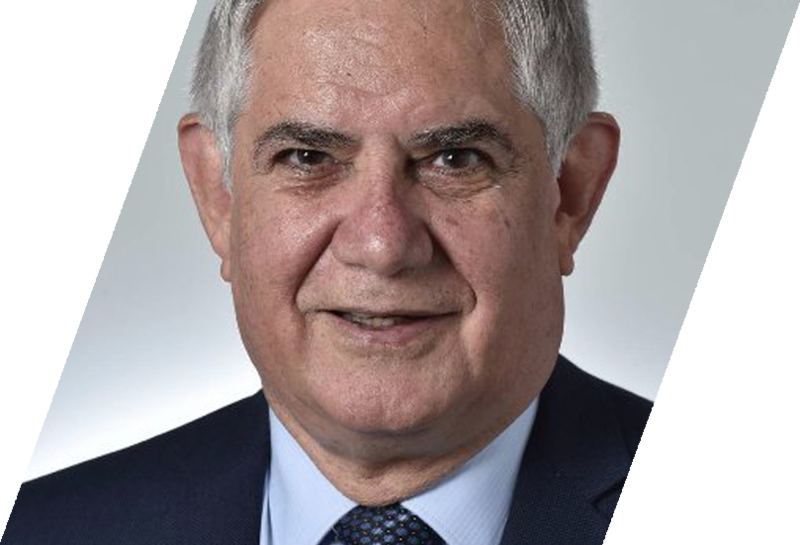 The Hon Ken Wyatt AM, Minister for Aged Care, then addressed the conference, acknowledging that accountability has been found wanting in the past, with a lack of reliable data about elder abuse in Australia. Since the last NEAC in 2013 much has happened, including the launch of the Older Persons Advocacy Network, the government’s Carnell-Patterson review – with significant changes for aged care regulations to be announced in the next budget – Australia’s first aged care workforce strategy to be released in July this year, and a Senate review underway. However, the recent Australian Law Reform Commission (ALRC) report on elder abuse made it clear there remain areas in need of improvement. The time has come for social change, he said, for significant improvement in elder abuse, both in aged care and the broader community. 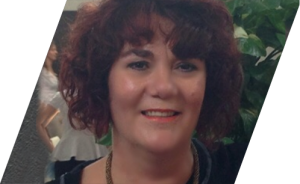 Reminding all those present that elder abuse is not an abstract concept but a real-life experience for many, Maria Berry shared her family’s story. 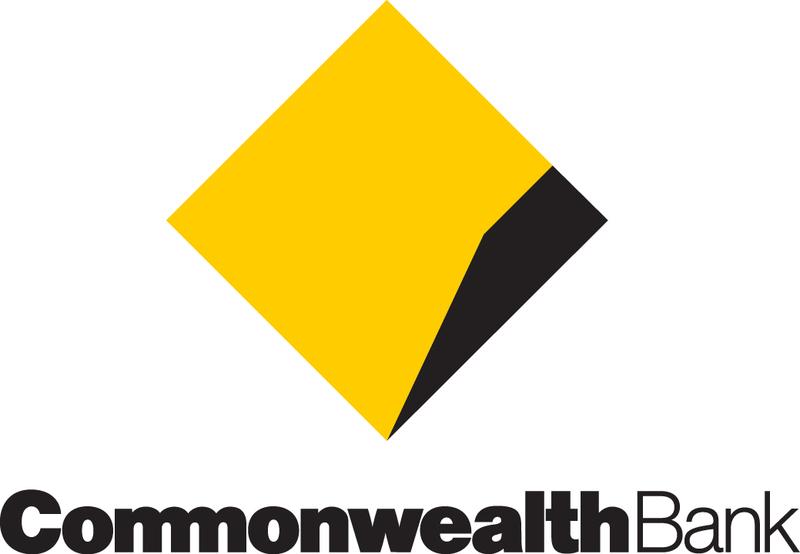 Maria told of her ageing and increasingly vulnerable father being subjected to ongoing harassment and financial abuse by her brother, a bitter legal battle, and ongoing challenges now her father is living in an aged care facility. 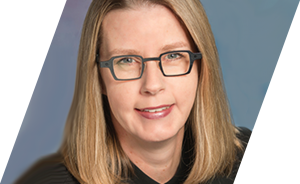 In her first presentation as newly-elected President of the ALRC, the Hon Justice Sarah Derrington told delegates that law reform can only be one part of Australia’s response to the issue of elder abuse, with broader cultural change needed. Speaking of the ALRC’s elder abuse report, she said the report’s recommendations on aged care focused on the need for providers to be required to investigate and respond to all reports of serious incidents, and the need for national schemes, registers and policies to avoid the misuse of enduring documents (including power of attorney and guardianship), which currently not only protect elders but also facilitate their abuse. 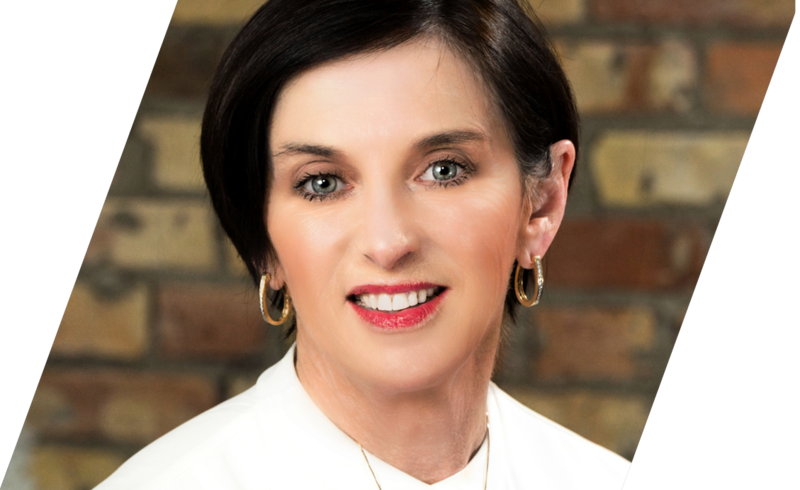 Professor Rebecca C Morgan provided perspectives and lessons from the USA, explaining that in the past, elder abuse had been addressed ‘from the bottom up’ – that is, at a state rather than federal level. She spoke of key challenges, including defining elder abuse, ensuring that cases are reported, and educating people – including law enforcement personnel – to understand that elder abuse is a crime. She suggested that where we are today with elder abuse this where we were 20 years ago with domestic violence and child abuse. It is now time to address this issue from ‘the top down’, starting with a national conversation about the issue. Dr Jane Barrett, Secretary-General of the International Federation of Ageing, spoke powerfully of the need for change, asserting that although we have plans, we are at present ‘nowhere near a solution,’ and urging Australia to take up the opportunity to be a leader in this field. Elder abuse has been discussed for a long time, including at a number of United Nations forums, and features in the current ‘2016-2020 Global Strategy and Action Plan on Ageing and Health,’ to which Australia is a signatory. 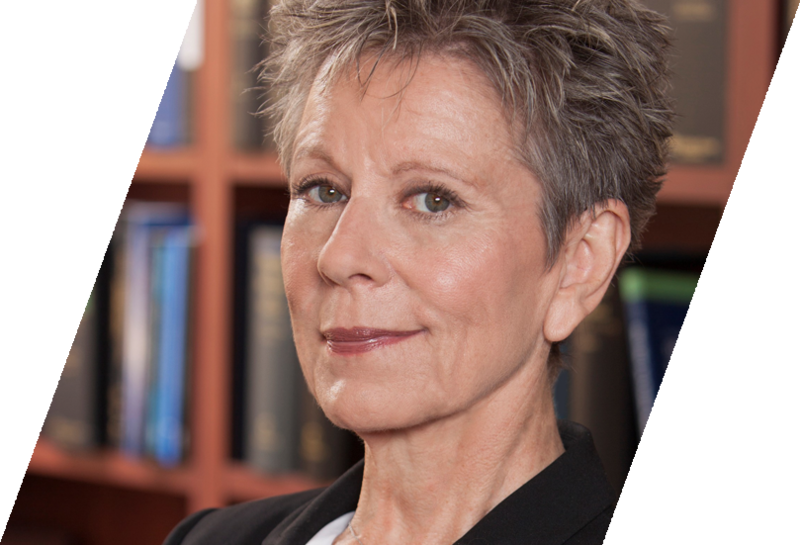 However, while the focus has been on human rights, elder abuse also has a significant public health impact, she argued. To move forward, we need to expand our thinking and recognise that elder abuse impacts healthy ageing in our communities. To develop effective solutions to elder abuse, we need to take a combined human rights and public health approach. Finally, Tanya Davies MP, NSW Minister for Ageing, spoke of the work of the State government to address the issue of elder abuse, highlighting its recent Retirement Village enquiry, support of Justice Connect and the Elder Abuse Helpline & Resource Unit, financial contribution towards the national elder abuse research agenda, and educational campaign on the importance of advance planning. 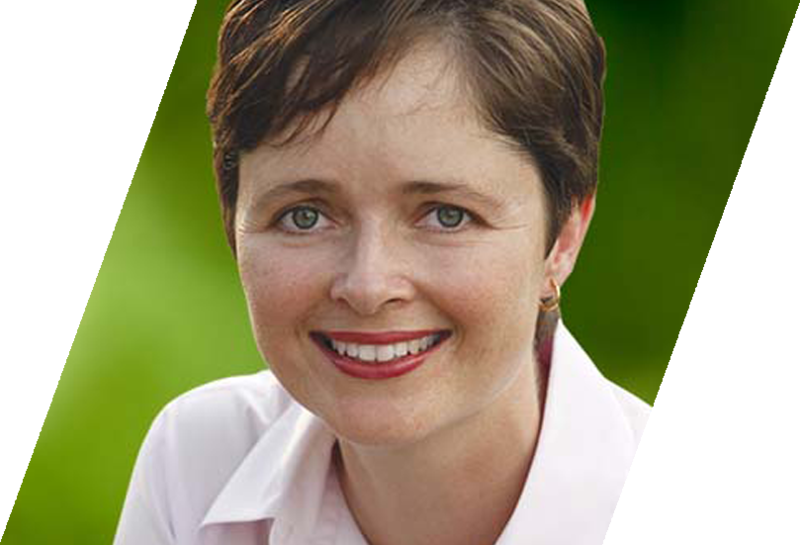 The NSW government is committed to building on these efforts, she said, but cannot do it alone and will need to work closely with other organisations and services. ‘Events such as this help us to have this conversation,’ she said. Involve older people and all the key stakeholders in developing the National Plan to address Elder Abuse to ensure all older people experience dignity, their rights and personal well-being as a daily way of life. To read the final conference statement and the themes that underpin click here. The Conference Statement was then presented and endorsed by the delegates at the closing plenary. 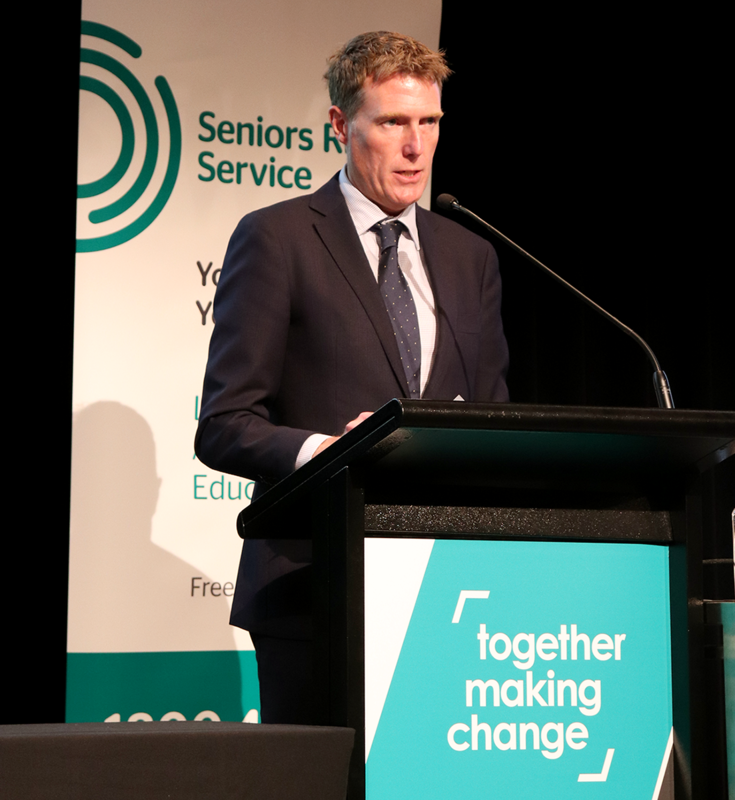 Speaking at the 5th NEAC closing plenary, the Hon Christian Porter MP, Australia’s newly appointed Attorney-General, told delegates that the government was committed to protecting the rights of older Australians. Expressing surprise at the lack of ‘clear and concise data’ on elder abuse, Mr Porter said the government had late last year announced funding for a national research agenda to improve our understanding of the issue. Following on from this, the government was now committing to a national prevalence study to improve elder abuse interventions and, in the longer term, show whether these had made a difference in the lives of older Australians. 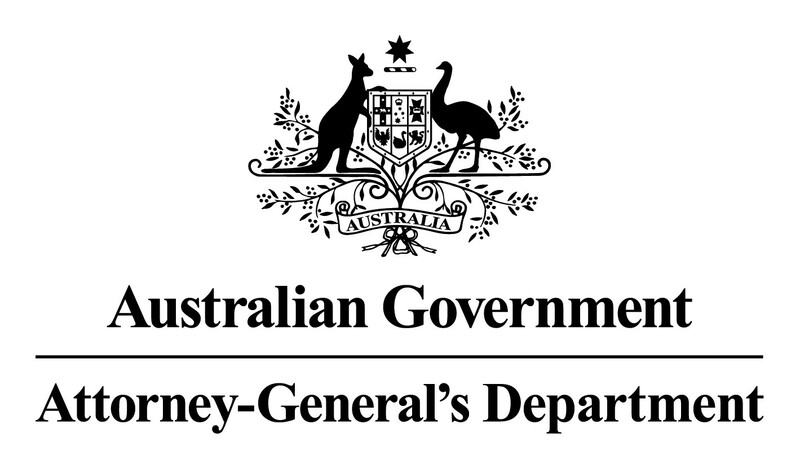 Mr Porter also took the opportunity to announce that Attorneys-General across Australia have agreed to develop a National Plan to address elder abuse – a key recommendation of the Australian Law Reform Commission's (ALRC) 2017 report into elder abuse – with Commonwealth and state and territory governments working together in close consultation with older Australians, the business sector and the broader community. A draft of the Plan is expected towards the end of this year. Mr Porter endorsed the ALRC’s assertion that preventing elder abuse in an ageing world is everybody's business. ‘Judging from the range of people taking part in this conference, from this time on in Australia elder abuse will no longer be someone else's problem, and I am committed to working with you to eradicate it in our community,’ he said in closing. 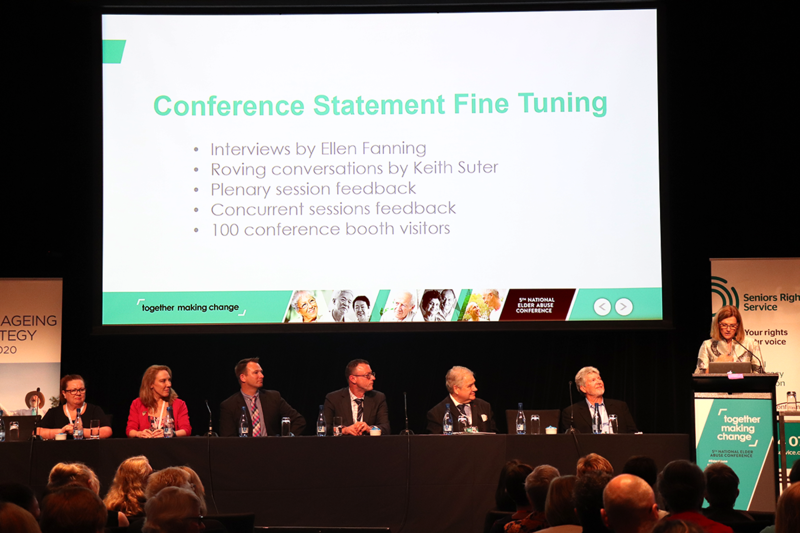 The 5th National Elder Abuse Conference received a lot of media attention, particularly in the lead-up to Attorney-General Christina Porter’s announcement on Day 2 at the conference of a National Elder Abuse Plan and prevalence study. 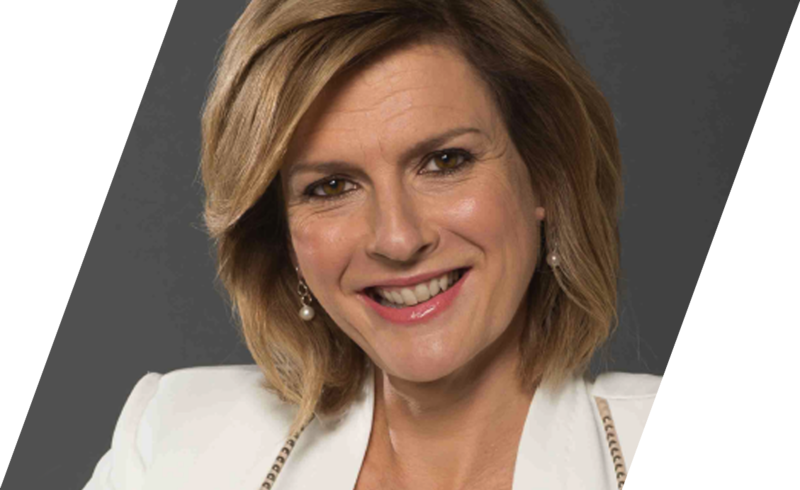 A range of news services recorded the closing plenary including SBS, ABC, Channel 10, Fairfax and AAP. Throughout the conference delegates and conference presenters both as individuals and representatives of organisations were interviewed by the media and asked to comment on elder abuse, its prevalence, where and how people can seek help, and what governments should be doing to address the problem. 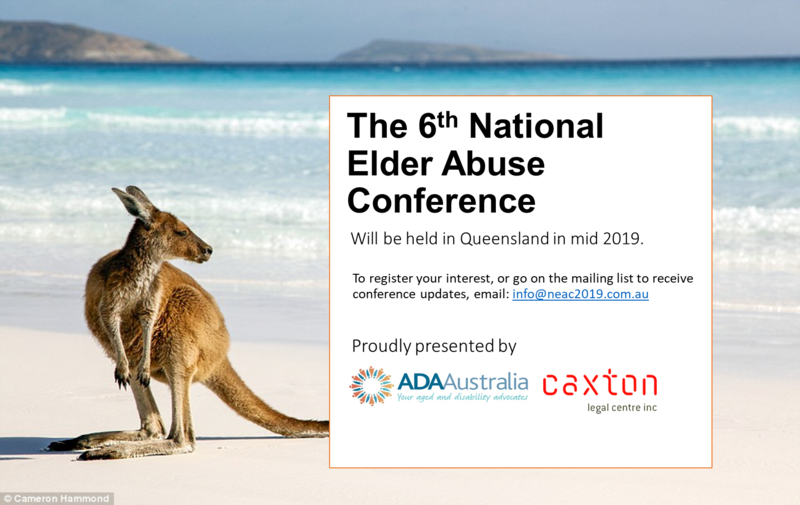 For a comprehensive overview of media at the 5th National Elder Abuse Conference follow this link. All the plenaries and over half of the session at the conference were recorded – that’s 55 videos in total. We continue to build our post-conference website ... keep checking in with us. Watch the sessions you missed, and re-visit some of the fascinating topics discussed by clicking here. If you haven’t already participated in the conference evaluation, please let us know your thoughts. Let us know what was great, what could be better and what was missing from the 5th National Elder Abuse Conference? Complete the Conference feedback survey by clicking here. Around 20 interviews were conducted by Ellen Fanning with key speakers across the two days of the conference. These interviews are currently being edited and will soon be uploaded onto the conference website. We will let all delegates know when this process is complete. Thank you again for taking part in the 5th National Elder Abuse Conference!